[S548] United States Federal Census, Washington, District of Columbia, Population Schedule: Cranford, Marshall, Alabama; Emuneration District: 96, Supervisor District: 7, Sheet: 7B, Dwelling: 8, Family Number: 8, Date: 1900. [S1059] JoAnne Claire (Bagwell) Hester, "Bagwell (Report)." [S549] United States Federal Census, Washington, District of Columbia, Population Schedule: Cranford, Marshall, Alabama; Emuneration District: 110, Supervisor District: 7, Sheet: 4A, Dwelling: 62, Family Number: 65, Date: 1910. [S591] Wayne Parker Bagwell and Simeon Bradley Bagwell via Interviews with John Enoch Bagwell's Descendents, "Family Group Sheets of John Enoch Bagwell's Descendents." [S594] Lionel Barnard Grave Stone, Find a Grave, www.findagrave.com. [S595] Bertha Sheppard Barnard Grave Stone, Find a Grave, www.findagrave.com. [S1050] Email from David Johnson dated November 2009 to JoAnne Claire Bagwell; Subject Line: RE: Homer Virgil Bagwell Family History. [S1056] Louie Bagwell Ellenburg Grave Stone, Find a Grave, www.findagrave.com. [S2869] Email from Heather Nell Ellenburg dated November 2014 to Hunter Wayne Bagwell - Subject Line: Louie Mentora Bagwell and Family. [S930] Email from Scarlett (Bagwell) Cosby dated July/August 2009 to Hunter Wayne Bagwell - Subject Line: John Enoch Bagwell Family History. 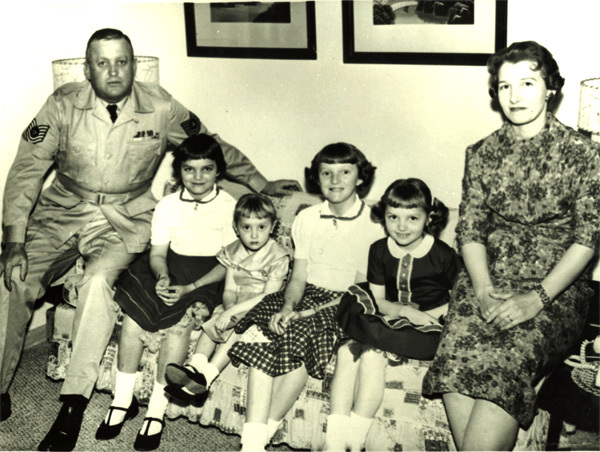 Left to Right: John Enoch Bagwell, Carol (Bagwell) Cook, Kay (Bagwell) Dempsey, Scarlett (Bagwell) Cosby, Joan (Bagwell) Cooper, Faye (Couch) Bagwell. John Enoch Bagwell was born on 26 November 1917 in Marshall County, Alabama, Tombstone says "November 22, 1918" as the date of birth.1 He was the son of John Vineyard Bagwell and Eula Kennedy.2,1 John Enoch was a career United States Army Master Sergent. After retirement he was employed with the Redstone Arsenal Fire Department in Huntsville, Alabama.1 He married Juanita Faye Couch on 28 August 1948.1 John Enoch Bagwell died on 28 October 1989 at age 71. He was buried at Mount Olive No. 2 Baptist Church Cemetery, Union Grove, Marshall County, Alabama. Mary Margaret Bagwell was born in 1861 in Texas. She was the daughter of Nathaniel Robbins Bagwell and Sarah Elizabeth Rogers. As of circa 1879,her married name was Honea. Mary Margaret Bagwell married James Honea circa 1879. Mary Margaret Bagwell died on 15 April 1918. She was buried at Greenwood Cemetery, Longview, Gregg County, Texas. Nathaniel S Tex Bagwell was born in 1862 in Texas. He was the son of Nathaniel Robbins Bagwell and Sarah Elizabeth Rogers. Nathaniel S Tex Bagwell died in 1880. Honea Bagwell was born in 1865. She was the daughter of Nathaniel Robbins Bagwell and Sarah Elizabeth Rogers. Farrie Belle Bagwell was born in 1868 in Robbinsville, Red River County, Texas. She was the daughter of Nathaniel Robbins Bagwell and Sarah Elizabeth Rogers. As of before 1892,her married name was Sport. Farrie Belle Bagwell married James Emmett Sport before 1892. Farrie Belle Bagwell was buried at Old Shamrock Cemetery, Bagwell, Red River County, Texas. She died on 15 December 1943 in Gregg County, Texas. She was buried at Rosedale Cemetery, Gladewater, Gregg County, Texas. [S2138] John Abner Bagwell Grave Stone, Find a Grave, www.findagrave.com. [S2140] Clifford A. Bagwell Grave Stone, Find a Grave, www.findagrave.com. [S2141] James Howard "Ike" Bagwell Grave Stone, Find a Grave, www.findagrave.com. Laura Viola Bagwell was born on 31 March 1881 in Red River County, Texas. She was the daughter of Nathaniel Robbins Bagwell and Sarah Elizabeth Rogers. As of before 1903,her married name was Love. Laura Viola Bagwell married William Hubbard Love before 1903. Laura Viola Bagwell died on 24 December 1970 in Clarksville City, Red River County, Texas, at age 89. 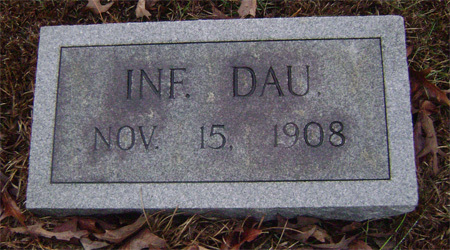 She was buried at Detroit Cemetery, Detroit, Red River County, Texas. [S1635] United States Federal Census, Washington, District of Columbia, Population Schedule: Greenville, South Carolina; Sheet: 415, Dwelling: 1418, Family Number: 1418, Date: 1850. [S2169] United States Federal Census, Washington, District of Columbia, Population Schedule: Greenville, South Carolina; Sheet: 192 / 415A, Dwelling: 1418, Family Number: 1418, Date: 1850. William Anderson Bagwell was born on 30 March 1836 in Greenville, Anderson County, South Carolina.1 He was the son of Anderson Bagwell and Gillet Gunnells.1 It is thought that this is William A. Bagwell that fought in the 1st Regiment, South Carolina Rifles (Orr's), Company K for the Confederate States of America. William Anderson Bagwell married Nancy Ellen Turbyfill on 30 March 1866. 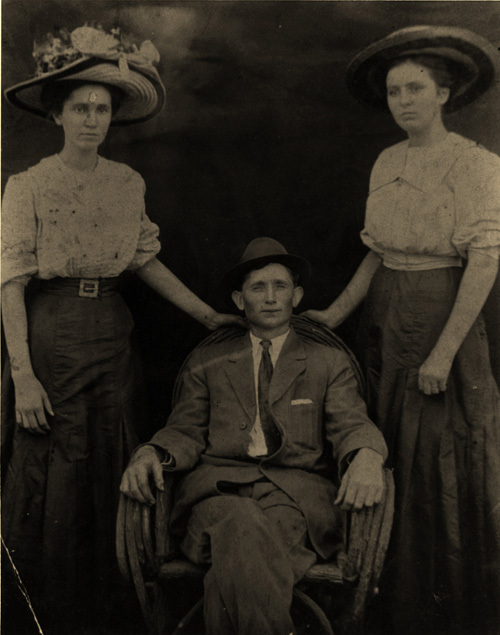 William Anderson Bagwell died on 5 November 1889 in Springtown, Parker County, Texas, at age 53. 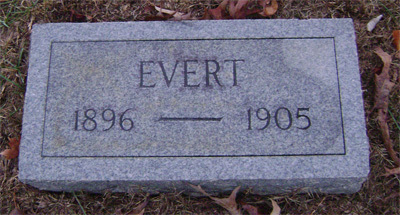 He was buried at Jay Bird Cemetery, Reno, Parker County, South Carolina.